As part of the activities to introduce Royal Kingdom to the people in the region, the Guinness Leadership Team paid a courtesy visit to the Edo State Governor, Godwin Obaseki; Delta State Governor, Ifeanyi Okowa; the Oba of Benin, Omo N’Oba N’edo Uku Akpolokpolo, Oba Ewuare II. The Guinness team will also be paying a courtesy visit to the Olu of Warri, Ogiamen Ikenwoli II and the Asagba of Asaba, Obi Professor Ejike Joseph Edozien. 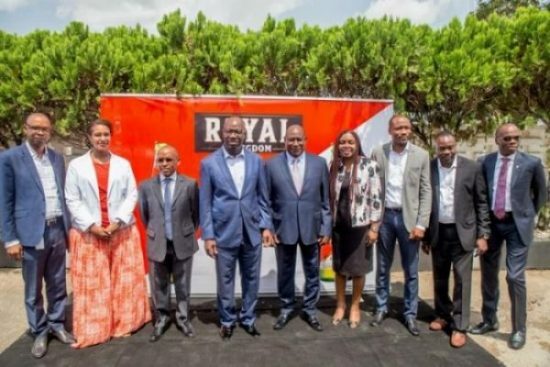 Speaking during the visits, Mr. Babatunde Savage, Chairman Guinness Nigeria PLC Board of Directors said that, “Royal Kingdom is our way of connecting with a community we have been part of for more than a decade – since 1974 when our brewery was built in Benin. We appreciate the strength of character, rich cultural heritage of the great people of both Edo and Delta. 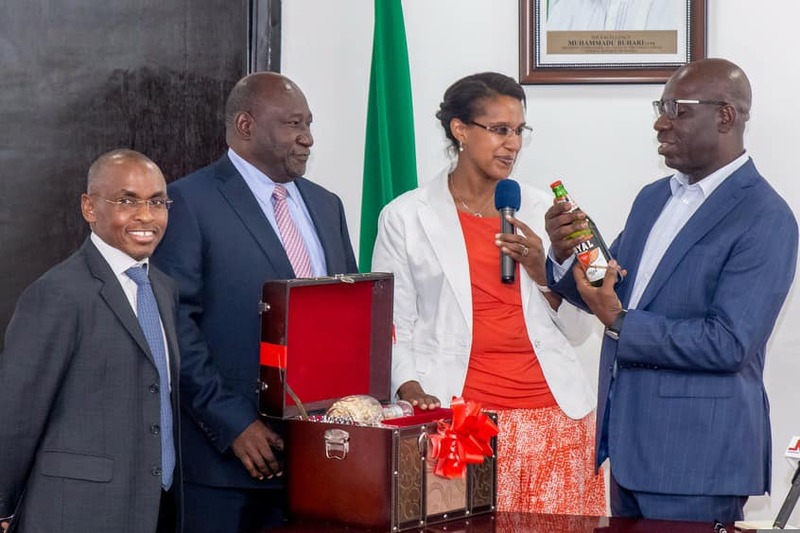 Guinness Team with the Governor of Edo State, Godwin Obaseki at the launch of Royal Kingdom Premium Lager Beer in Benin City, Edo State on Wednesday. Royal Kingdom lager is a 5% ABV golden beer. It will be available in 60cl bottle for 200 Naira at a bar near you. Guinness said it will be will be hosting activations for the new brand across Benin and Delta states in the coming weeks, to provide platforms for consumers to experience and celebrate culture.